What are motor shaft currents? Don't panic, TigerTek is just a LOCAL phone call away. Both domestic and foreign AC and DC motors. 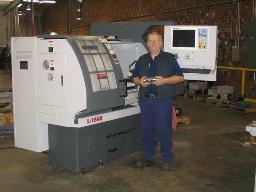 Our 30,000 square foot shop is UL approved and professionally staffed and equipped. FREE local pickups and FREE quote before repair. 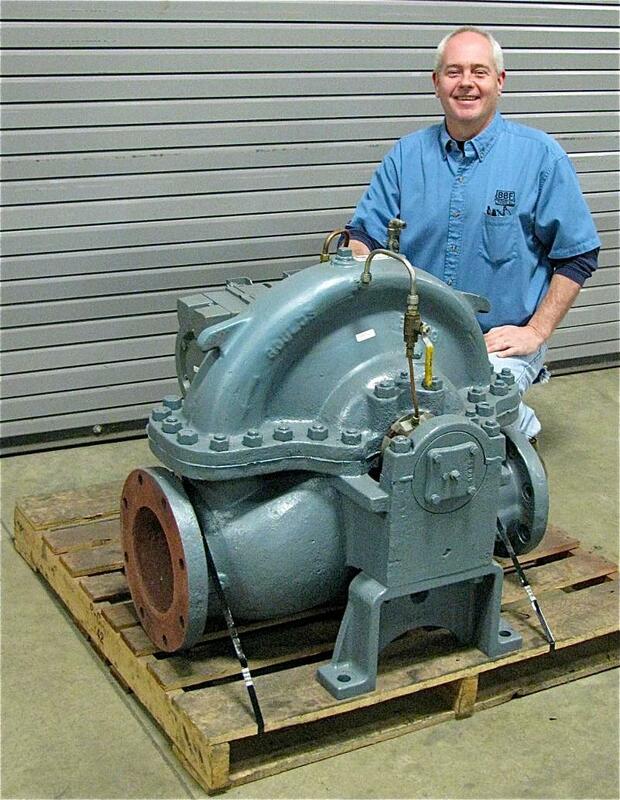 All types of industrial pumps and blowers. We can turn-key the project including removal and re-installation. All units including spur, helical, bevel and worm gears. Timing patterns are expertly reset for precise gear timing. 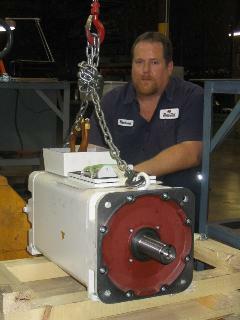 permanent magnet motors and spindle motors. 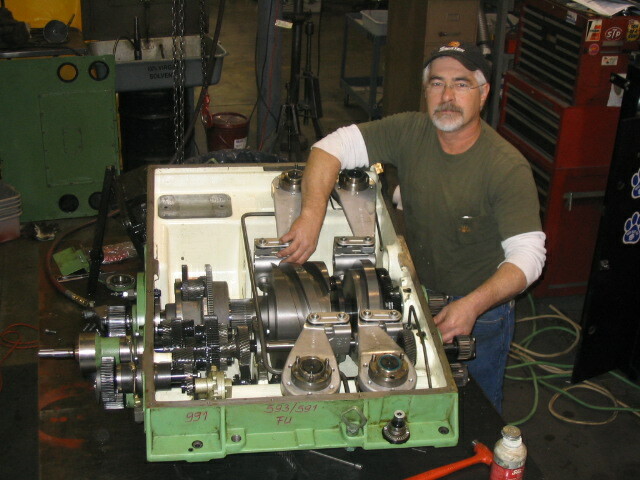 Our skilled machinists can manufacture reproduction items, repair damaged parts and perform upgrades or modifications. Quality work, fast, at cost saving prices! or call us (336 623-1717) and we will send a salesman to answer any questions. 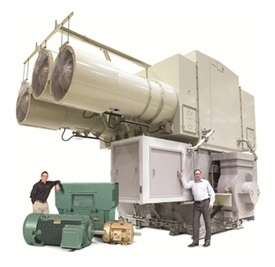 Baldor/Reliance stock and custom motors are available up to 15,000 HP, while ABB induction and synchronous motors are available up to 100,000 HP. 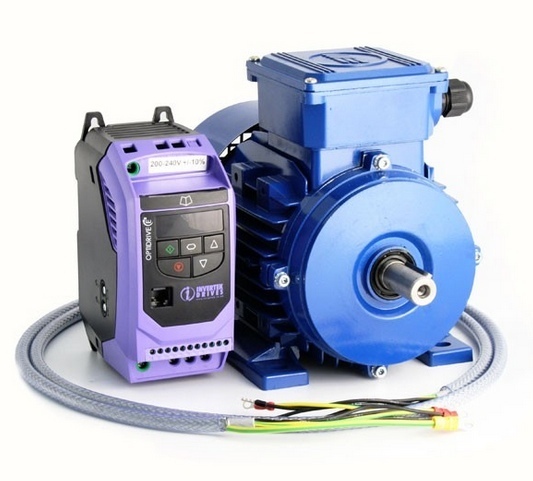 This large AC motor offering includes both NEMA and IEC configurations, assuring customers they will get the motor that meets frame, enclosure and duty cycle standards for any application, anywhere in the world. 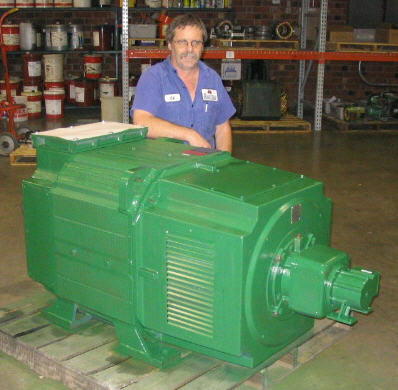 Every large AC motor is designed and built for superior reliability, energy savings and rugged performance. TigerTek is a MASTER distributor for: Baldor/Reliance, Leeson Electric, US Electric, WorldWide Electric, Teco/Westinghouse, Lincoln Electric, Sew Eurodrive, CEG, Brook Crompton, TechTop, Lafert, and Hyundai. "What are motor shaft currents?" If you are using a variable frequency drive on your AC, or DC motors, you create the risk of an electrical circuit discharging through your motor bearings. This will cause premature bearing failure. You can usually hear the bearings starting to fail because of the fusion craters and pitting caused by this electrical arcing. 1. Installing a ceramic, insulated bearing to break the circuit. 2. Installing a shaft grounding ring. Please give us a call if you'd like a TigerTek engineer to provide a FREE on-site inspection. 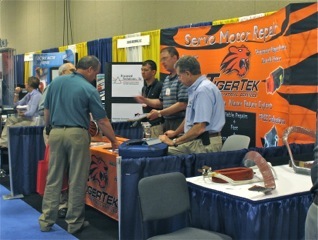 TigerTek is a member of EASA (Electrical Apparatus Service Association). We recently hosted a booth at the national conference in Nashville, TN where we demonstrated our Servo Motor Repair capabilities. We also visited the Grand Ole Opry where Little Jimmy Dickens (age 92) was still strutting his stuff. Please call TigerTek for any electro-mechanical repairs.